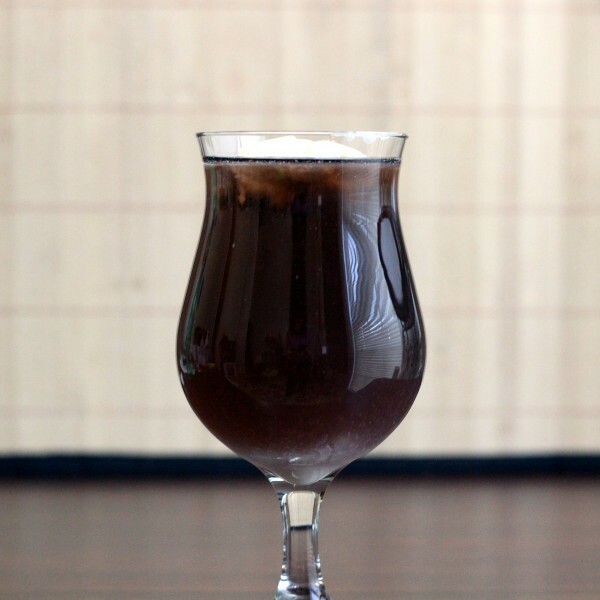 The Mozart Cola is much more than another “…and Cola” cocktail. 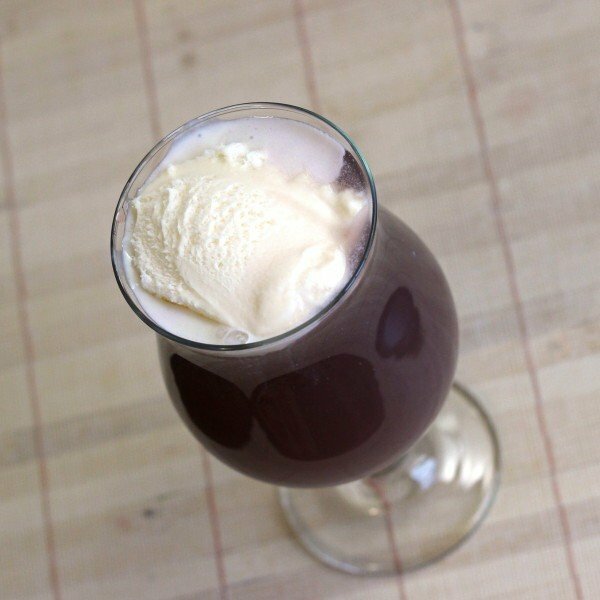 It uses Mozart chocolate liqueur and cola as its base, and vanilla ice cream makes it a float. You’re supposed to stick a straw down into it, past the ice cream, and start drinking from the bottom. The ice cream slowly melts into the drink, and by the end you’re mostly drinking molten vanilla ice cream. Another option is to stir the ice cream into the drink as you wait a few minutes for the ice cream to completely melt. It all depends on how much vanilla flavor you want in each bite. This is a seriously fun drink, whether you’re enjoying it alone on a quiet night in, serving it to guests or requesting it from a bartender on a night out. Because it’s very sweet, it makes a great light dessert drink after a nice full meal (that’s “light” as in not so filling, not light as in low calorie). For a snack, it goes very well with dry roasted nuts, crackers or pretzels – anything salty and savory. Pour the Mozart and cola into a hurricane glass. Add the scoop of ice cream on top. Optionally garnish with chocolate shavings and serve.